It took just one week for the wrath of Apple's (AAPL) new iPhone 4 owners to translate into legal action: Two separate lawsuits were filed Wednesday over the newly released smartphone's reception problems, according to a Bloomberg report. The complaints, filed in a U.S. District Court in Northern California by a Massachusetts man and a New Jersey resident, cite problems of dropped calls and poor reception when holding the device a certain way, similar to widespread reports that have surfaced elsewhere. According to those reports, the glitch occurs when an iPhone 4 is held in a way that causes the user's hand to bridge the gap between its two antennas. The problem appears to predominately effect left-handed users. In his case, Christopher Dydyk of Massachusetts alleges that should it come to light that Apple was aware of the iPhone 4 problem prior to its going on sale, that would constitute misrepresentation and fraud. According to the report, Dydyk alleges: "In omitting to disclose the defect in the iPhone 4, Apple perpetrated a massive fraud upon hundreds of thousands of unsuspecting customers." Despite the reports of reception problems, customers have continued to snap up the iPhone 4: Apple sold a record 1.7 million devices in the first three days they were on sale last week. Some of the workarounds suggested for the problem have included using a protective case on the phone or simply not holding the phone in the way that causes the issue. Dydyk asks in his lawsuit that Apple provide a free protective bumper with every iPhone 4 that's shipped. The rubber-and-plastic casing, which Apple sells for $29, goes around the perimeter of the phone, and prevents the specific contact that causes the problems, according to reports. 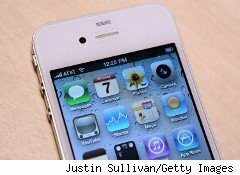 For Apple, customer lawsuits over iPhones are nothing new. When the iPhone first launched in 2007, the company dropped the price by $200 just two months after it went on sale, prompting one owner who bought a phone at the original price to file a lawsuit. Apple issued an explanation for its actions and offered a $100 Apple store credit to customers who had bought their iPhones before the price dropped. Apple also was hit with a 2007 lawsuit over allegations it failed to disclose customers would have to pay an additional fee to change the iPhone battery. But perhaps the most interesting and similar lawsuit is one filed in 2008 in a U.S. District Court in Alabama. The plaintiff alleged that Apple promised that the iPhone 3G would run twice as fast as earlier versions, but that it failed to do so and, on top of that, allegedly dropped calls frequently.